1. A rare bald squirrel was spotted recently in Dunstable, Befordshire, but evaded all attempts to try and capture it. Wildlife experts were worried it might suffer from hypothermia as the weather gets colder. 2. 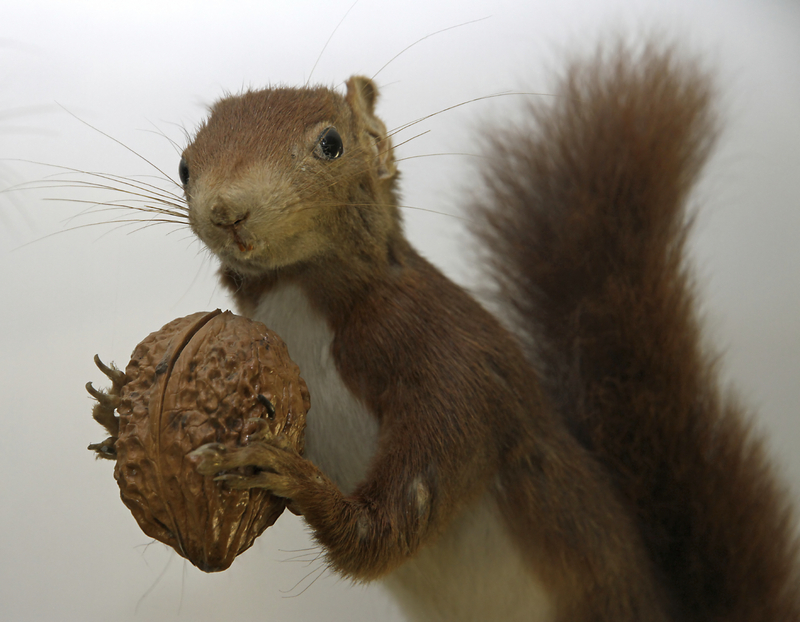 A group of squirrels is called a dray or a scurry, though a dray – or drey – is also a squirrels’ nest.  They are very territorial and will fight to the death to defend their space. 3. Across Japan you can find squirrel gardens where you’re allowed to pet the little critters while wearing oven mitts. 4. 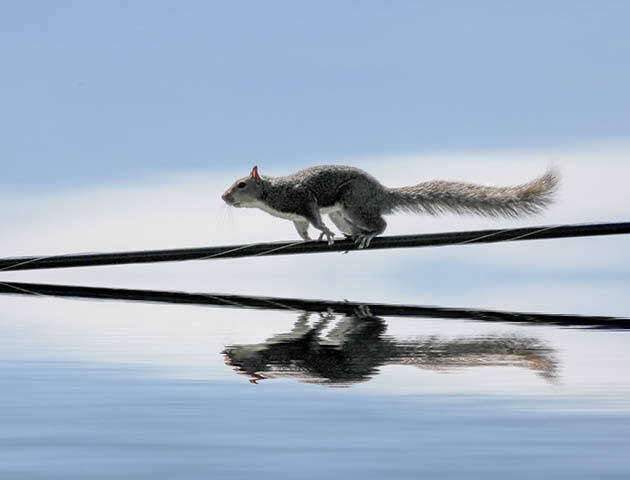 As well as being amazingly agile, squirrels can run at impressive speeds of up to 20mph. 5. Squirrels have big eyes and good eyesight, but their eyes are on the sides of their heads. One reason it can be dangerous to feed a squirrel – it can’t see your fingers and might accidentally bite you. 6. Before and after mating, females give ‘kuks’, ‘quas’, and ‘moans’. Alarmed adult grey squirrels ‘buzz’. 7. Squirrels have a habit of freezing when danger approaches and then darting back and forth to confuse a predator. This doesn’t work so well on cars, however, and urban squirrels often get run over. 8. They have four front teeth that never stop growing. Constant gnawing keeps their teeth from growing into their necks. 9. Grey squirrels can live to the ripe old age of 20 in captivity. In the wild, their life expectancy is a lot shorter. Their main predators are hawks, owls, cats, and predators of baby squirrels can include crows and other squirrels. 10. A single grey squirrel can create several thousand buried stores of food each season, not all of which it will find again. This is called scatter hoarding and helps disperse trees. 11. 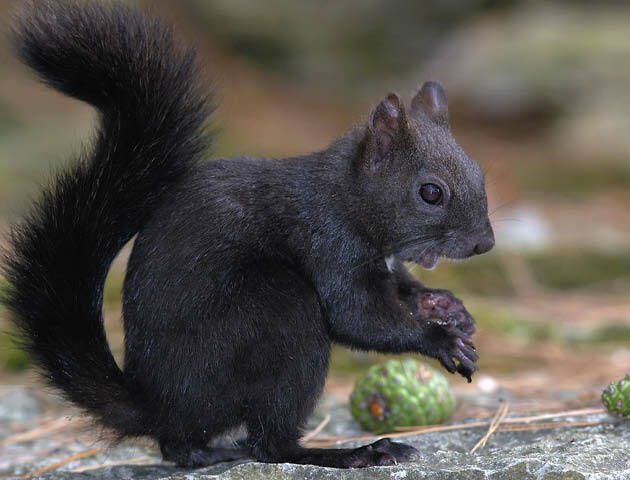 Black squirrels are becoming increasingly common because of a genetic mutation which stops their fur turning to grey and could make them more immune to disease. However, grey squirrel hairs are not actually grey at all but a combination of white, black and orange stripes. 12. There are more than 200 species of squirrel and they live on every continent apart from Australia and Antarctica. 13. The tiniest squirrel is the African pygmy squirrel, which is only 5in long from nose to tail. The Indian giant squirrel on the other hand is 3ft long. 14. Secret Squirrel is a cartoon secret agent created in the 1960s, assisted in his adventures by his sidekick Morocco Mole. The pair fight crime using cunning and a variety of spy gadgets. 15. January 21 is Squirrel Appreciation Day. Make a date in your diary now!